Hawaii Official Says No Birth Certificate for President Obama? Old, debunked claims about President Obama's birth certificate were inexplicably rehashed on several blogs. A Hawaii state official recently came forward with proof that President Barack Obama's birth certificate was not legitimate. Former Hawaii elections clerk Tim Adams recently signed an affidavit swearing that his supervisors told him that no long-form, hospital-generated birth certificate existed for Barack Obama Jr. in the state of Hawaii. According to Patriot Newswire, neither Queens Medical Center nor Kapi’olani Medical Center in Honolulu have any record of Obama being born at their hospitals. 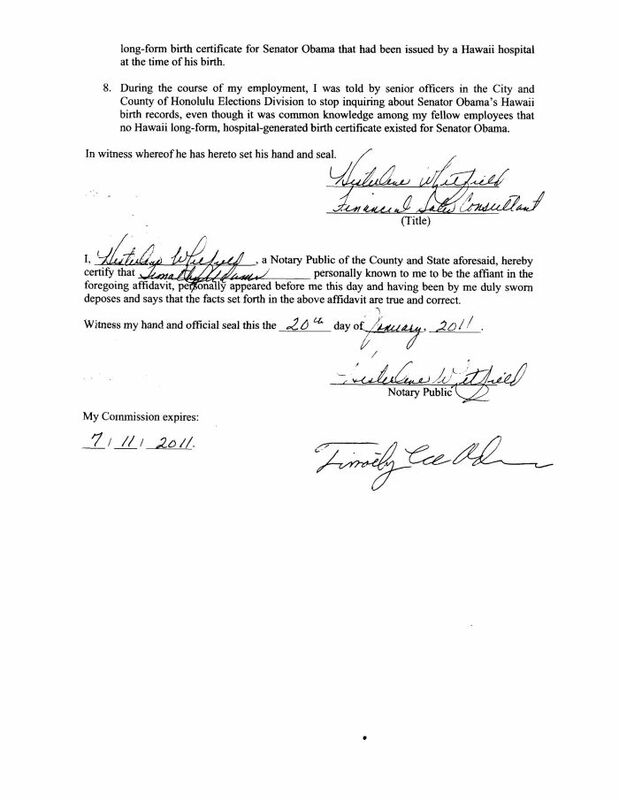 I was Chief elections clerk for the city and county of Honolulu on temporary contract. I ran an office that verified voter eligibility and had a staff of about 50 people. When this question came up, I had access to all the usual government databases that people had to verify identity, NCIS, Social Security, all sorts of other things that we use on average voters. There were two people higher than me in our office, who were under the City Clerk of Honolulu, and the question came up about the birth certificate and about President Obama’s birthplace. In our professional opinion, Barack Obama was not born in the United States, and there is no Hawaii long-form birth certificate. It was openly admitted by everyone in the office who was above me, at least my immediate supervisors, that there is no documentation. Barack Obama was not born in Hawaii. No effort was made during those separate interviews to differentiate the procedural differences in determining voter eligibility versus obtaining a birth certificate for any individual in or outside the scope of election clerk duties. 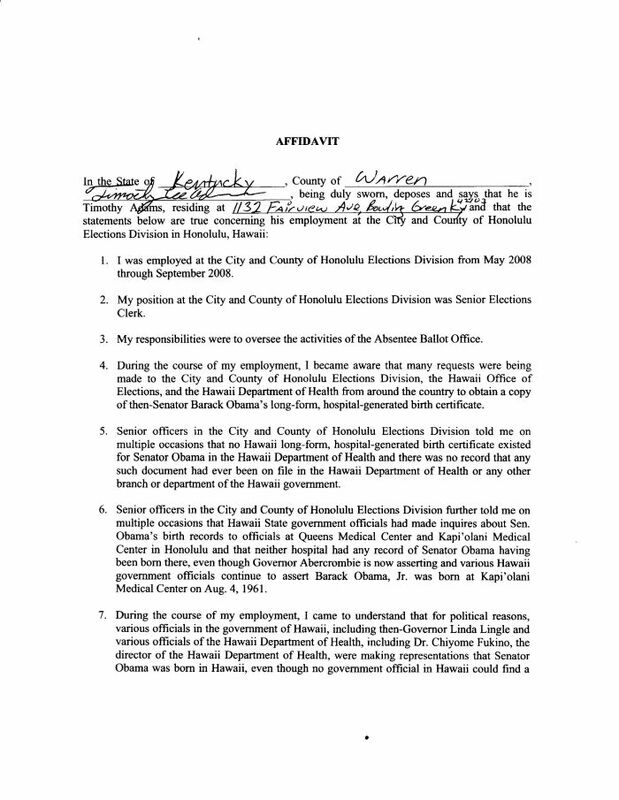 Adams never clarified why his office (primarily tasked with matters of voting and election administration in the county of Honolulu) might have ever been involved with or otherwise knowledgeable on a purported search for a Department of Health record pertaining to a candidate in a national election. Overall, Adams’ relevance to the larger controversy over Obama’s eligibility was not clear in 2010 (nor was it in 2015). Adams wasn’t the only party presenting partial, unexplained, or misrepresented “evidence.” WND‘s entire 2011 “bombshell” was predicated on an affidavit (a sworn written statement certified by a notary public) Adams signed attesting to his claims. But no explanation for the necessity of an affidavit was provided; and it appeared that the document was generated solely for the purpose of implying the claims made in the article were credible. Well, when the question about Barack Obama’s birth in Hawaii came up, our office — what we do is we verify voter identification. We also verify the identity of the candidates that go on the state ballot. And so the lady that I report to, who we mentioned earlier, that was part of their responsibility. They had to verify the identity of the people who go on the state ballot. So when the questions came up, we made inquiries, and the only thing we got back was, is, there are no documents. 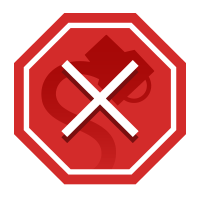 … from those databases we couldn’t, but what happens is is that when they ask us to verify the identity of the candidate that we have to go to the people who have the records, the Department of Health, Kapiolani Hospital, Queens Hospital, and the answer we got back from them was they don’t have the records. We had local candidates who would bring in birth certificates and passports and other documents to prove their identity. That was normal.. Conducting elections involves: registering voters, maintaining the voter registration database on behalf of the four counties and the State of Hawaii, maintaining address and district data; checking signatures on city candidate/initiative petitions; issuing candidate nomination papers and filings; issuing and mailing absentee ballots; accepting, accounting for, and processing returned ballots; operating early voting locations; The Office of the City Clerk also accepts financial disclosure filings of candidates and City employees and provides clerical support to the Honolulu City Council. In short, what was described as a “bombshell” revelation from a Honolulu elections clerk in August 2015 about the eligibility of President Obama based upon his birth certificate was in no way a new claim: Tim Adams had appeared on white nationalist radio shows more than five years earlier peddling his Swiss-cheese story. When the claim ran as an exclusive at WND in January 2011, the affidavit upon which it was based attested merely to hearsay and rumors. And while Adams initially asserted that he was not party to a purported ongoing search for Obama’s long-form birth certificate, he appeared months later claiming that he was an integral member of the birther investigation team as part of his six-month-long temp job at the elections division in 2008. Adams’ multiple recitations of things he claimed he heard didn’t amount to much when they first cropped up around Stormfront in 2010, and no new “information” accompanied them in 2015 when they were repeated on web sites as novel findings.